If you are one of the millions of Americans who recently completed or are currently going through annual open enrollment to select your healthcare benefits, you are far from alone. 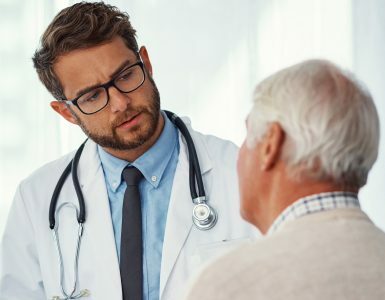 Yet for many of us, the details of our new healthcare benefits can be confusing, which can make it more difficult to effectively utilize our coverage. In fact, recent research shows that more than 50 percent of Americans are unfamiliar with basic insurance terms. Health insurance can be complicated, but understanding how benefits work can make a big difference in making the most of our coverage, ensuring we save time and money and get the care we need, when we need it. Deductible: The amount you are required to pay for healthcare services before your insurance coverage kicks in. For example, if your policy has a deductible of $1,500 per person, you will be responsible for the first $1,500 in incurred healthcare expenses (provider visits, procedures, etc.) during each plan year, before your insurance begins paying for these items. Keep in mind preventive services like vaccines and most screenings are covered at no charge, even if you haven’t met your annual deductible. Coinsurance: The percentage of the costs for a covered healthcare service that you are responsible for. For example, once you meet your deductible, your plan requires that you pay 20 percent coinsurance for office visits. If the office visit is $100, you will be responsible for 20 percent, or $20, of that charge, and your plan will cover the rest. 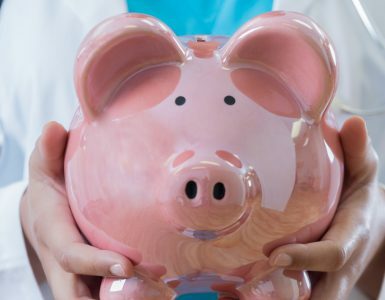 Copay: This is a flat fee that you pay for each covered healthcare service once your deductible is met, usually at the time you receive that service. For example, if your copay for an office visit is $20, you will pay that amount each time you visit the doctor. Premium: The amount you pay each month for your health insurance coverage. If you have employer-sponsored healthcare coverage, your employer may pay a percentage of this premium as a benefit to you. Out-of-pocket Maximum: The most you will be required to pay during your plan year before your insurance coverage pays for 100% of all covered services. While this does not include premiums, it often includes money you spent for deductibles, coinsurance and copayments, but make sure to read your policy carefully to confirm what is included. Network: The doctors and facilities your plan has contracted with to provide services or medical equipment. It’s important to confirm that your provider or facility is considered in-network.Costs can vary for in-network versus out-of-network, and if you visit a provider that is not in your health plan’s network, you can incur much higher, often unexpected, costs. These are just a few of the common terms that you’ll come across when reviewing and using your healthcare coverage. It’s important to familiarize yourself with this information as much as possible to ensure you have the knowledge necessary to best utilize your health insurance. If you’re a Health Advocate member, your Personal Health Advocate can help you navigate the complexities of insurance to make sure you understand your coverage when making important healthcare decisions. Personal Health Advocates can also help resolve any healthcare issues you may have, such as questions regarding your medical bill or finding an in-network provider, among many other related topics.